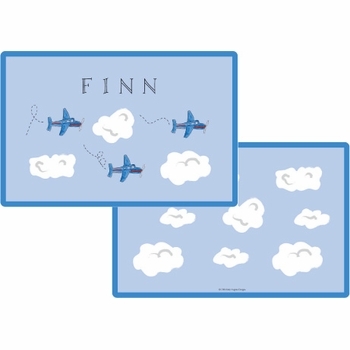 This personalized placemat has Airplanes which will make any child look forward to setting the table at mealtime. 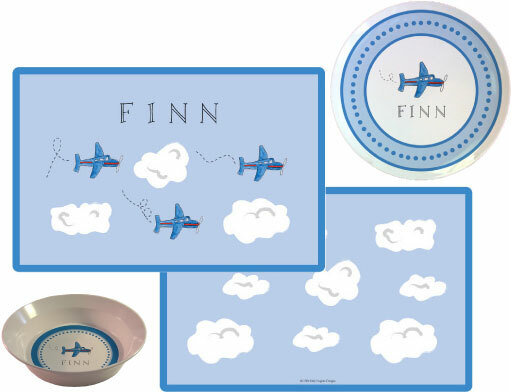 Perfect for home, eating out or traveling! 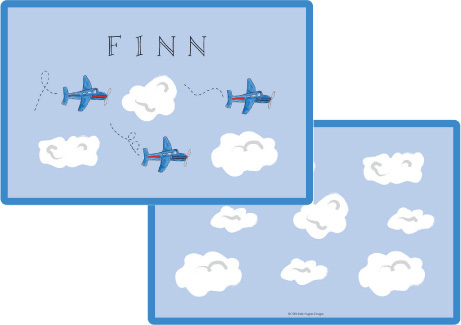 Each placemat measures 18" x 12" and is sealed with 10 mil heavy weight laminate for durability and ease in cleaning. Design is carried over onto the back of the placemat. 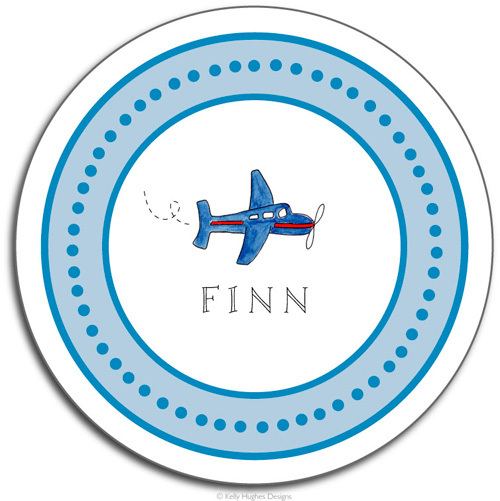 Personalized with child's first name for no additional charge. 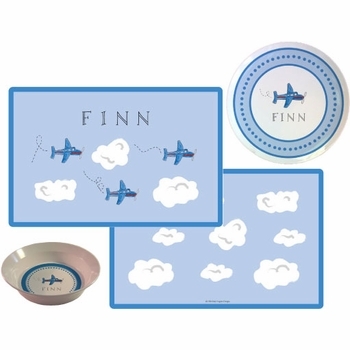 For the ultimate gift, add the matching personalized 10" melamine plate to make a fun and colorful place setting for mealtime! The plate is dishwasher safe; however it should not be used in the microwave. Placemat measures 18" x 12"; melamine plate measures 10"